I’m currently reading a book, Ego Is The Enemy, which made writing today’s post more difficult than I expected. It made me question the purpose of this post: was it for myself–to feed my ego, or was it provide value to my readers? Ultimately, I decided that writing this post was not to serve my ego, but to mark a milestone, share a little of my excitement, and most importantly, serve as a thank you to those who supported my decision to chase my dream. It took me awhile to feel confident in my decision, which is why I’m finishing it at 11:30 at night. Damn you Ryan Holiday! The beginnings of RL Wealth Management, L.L.C. May 21st, 2015: An impromptu meeting with the owner of the firm I was working at ended with a mutually agreed upon decision that it was time for me to strike out on my own and start my own firm. So, I signed my letter of resignation, finished out the day, and headed home to let my wife know that the leap to independence we had been discussing and planning for had been made–there was no going back! May 22nd, 2015: The paperwork to create RL Wealth Management, L.L.C. was filed and an EIN was created; I was officially a business owner. With the exception of my wife and I’s first date, our wedding, and the births of Roman and Leo, May 22nd, 2015 will always be one of the most exciting days of my life–the vision I held for so many years had finally come to fruition. May 23rd, 2015: I began working with a company to start the registration process for RLWM to become a Registered Investment Adviser in Indiana, and I began making phone calls to let my clients know I had left to start my own firm and to stay tuned for more news as I could reveal it. In the following days numerous cups of coffee were had, along with positive conversations with clients–these conversations are some of the most memorable ones I’ve had with them. It was a chance to leave business out of the conversation and just talk like the friends we had become over the years. Note: I have to admit I was extremely fortunate my separation from my previous firm was cordial; most advisors breaking away aren’t so lucky. My previous firm agreed not to enforce my non-compete with the clients I had brought to the firm, and they were extremely supportive in the decision to start my own firm. 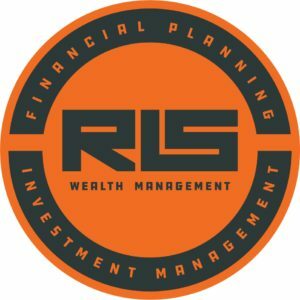 With the creation of RL Wealth Management, I set out to start a financial planning and investment management company that would break the mold of traditional financial planning firms–not only would I continue to work with pre-retirees and retirees, but I would also work with Millennials. 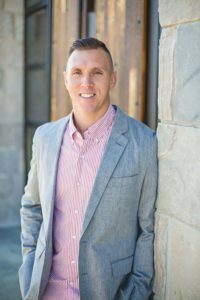 I never subscribed to the notion that young professionals do not need financial advisors–I understood the traditional financial planning model was not favorable to younger clients just starting out, but I believed it was possible to develop a relationship that would help Millennials with their financial planning needs and be affordable. I just was never allowed to create that relationship, but the shackles had come off. In just two short years, I’ve proven to myself it is possible to build a practice catering to both Baby Boomers and Millennials–the books geared toward financial advisors and other financial advisors may not believe it, but it is possible–I’m living it (and loving it). Not only have I been able to lay the foundation for RLWM, but in the past two years I’ve been able to connect with an incredible network of financial advisors and investment professionals across the country. 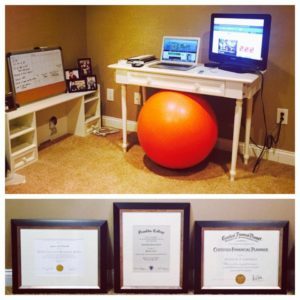 Social media has been a godsend to my development as an advisor, along with the development of my young firm. Twitter may struggle as a stock, but it’s value is priceless to me! It has allowed me to grow as an advisor in ways that would not have been possible at my previous employers–social media was frowned upon because of the compliance requirements of large firms. It is because of social media I’ve been able to connect with other advisors I look to as mentors, talk to people on the investment side of the world that blow me away with their genius, and build a network of like-minded advisors that I would struggle to find in Indy–priceless. While I consider RLWM’s official birthday to be July 3rd, 2015 (the day I received confirmation of registration as an RIA in Indiana and could officially conduct business), the week of May 22nd will also be memorable. I look back at the beginning–my office in the spare bedroom in our basement (pictured above), the late nights completing paperwork for the registration of RLWM, researching the technology I would be using to run the company, and preparing to start meeting clients–and I wouldn’t change a thing. Well, maybe one thing–I would have done it sooner. It’s during this reflection that I am reminded that going after my dream would not have been possible without the support of my amazing wife, my boys, my mom, dad, sister and the rest of my family, and finally, my clients. I’m extremely lucky to have such a wonderful support system who trusted me in taking the next step in my career as a financial advisor, and I plan to continue to build something great! If the next two years are anything like the last two, then it’s going to be an awesome ride!